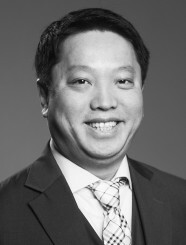 Don Ho joined Generational Equity, LLC in September 2004; and currently holds the position of Senior Vice President, M&A in the Dealmaking Group, representing clients located throughout the United States and Canada. As a Senior Dealmaker, Mr. Ho assists private middle-market business owners to better understand their companies’ risk and value in order to develop and execute a custom exit strategy. During the M&A process, Mr. Ho is responsible for pre-launch diligence, business valuations, identifying and qualifying potential acquirers, confidentially executing marketing initiatives, managing due diligence, and negotiating letters of intents (LOIs) and the definitive purchase agreements. For this role, Mr. Ho brings over 14 years experience and knowledge of corporate valuation instruments, financial modeling and analysis, industry and economic research, risk and probability analytics, quality of earnings analysis, and M&A transaction expertise. Prior to his current position, Don Ho was principally responsible for developing Generational Equity’s proprietary valuation models and templates, performing Corporate Valuations, and preparing Offering Memorandums as Project Manager, M&A. During his tenure, Mr. Ho has consulted and valued over 300 private middle market companies operating in a variety of industries with emphasis in the nutraceutical, manufacturing, information technology, construction, and distribution sectors with revenues ranging from a million to in excess of half a billion dollars. Additionally, Mr. Ho has tremendous experience working with international buyers, and subsequently, has closed transactions with both Canadian and European Public Companies. Don Ho holds a Bachelor of Science degree in Business Administration with a concentration in finance and accounting from the University of Texas at Dallas. Prior to Generational Equity, Mr. Ho worked at Bank of America and JP Morgan Chase in various analytical and management capacities.